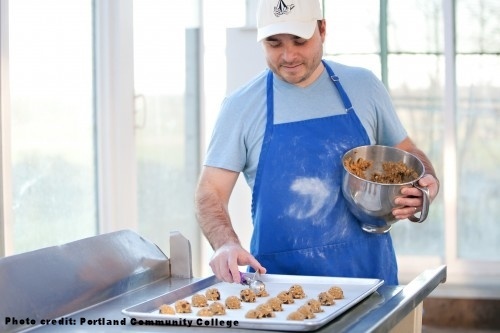 Seaweed chips, bacon ice cream, smoked carrots…what’s Oregon’s next great snack? With the outpouring of tasty creations from foodie-minded entrepreneurs, it’s almost impossible to guess. And driving this movement forward are food innovation hubs – culinary and marketing experiment stations that link food crafters to kitchens, farms to forks, and rural Oregon to international markets. On this week’s Biz503, our topic is Food Innovators. We’ll be looking into everything from what kinds of yummy, creative goods are being produced, to how you can launch your own line of dream foods. Our panel this week includes representatives from two higher education programs that have become Oregon’s go-to places for those interested in marketing their own food items: Getting Your Recipe to Market (GYRM), a program of the Portland Community College (PCC) Small Business Development Center; and the Food Innovation Center, an “Agricultural Experiment Station” located in Portland by Oregon State University (OSU). Co-hosted by PRP Founder Rebecca Webb and Cindy Tortorici, business consultant, executive coach and master connector, we’ll learn about new projects both teams are cooking up, and meet purveyors of handcrafted cheesy puffs, bicycle-powered smoothies, multicultural cooking sauces and Ayurvedic chocolates! Tune in Friday, Dec. 4, 2015 on Biz503, broadcasting live in the heart of Portland at 99.1 fm – and streaming worldwide at prp.fm.